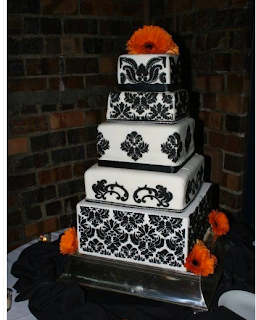 Found this cake on bride.ca created by Sara's Simply Delicious. 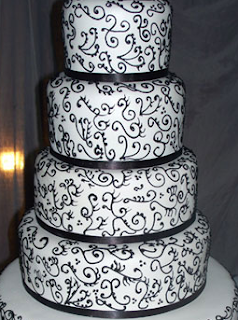 The original design which can be found on either page includes a fifth tier which is mostly white with a border of the pattern - I'm not a fan because it seems random and out of place, almost like they ran out of time. 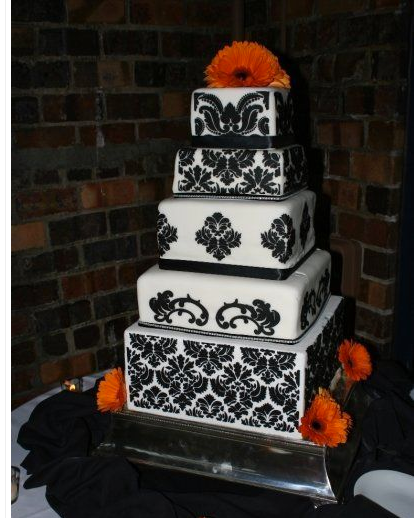 However I love the look of this cake and the only thing I'd like to add is some gerber daisies like the cake below. Found this on CakeCentral.com by Callyssa, who made it for her brother's wedding.